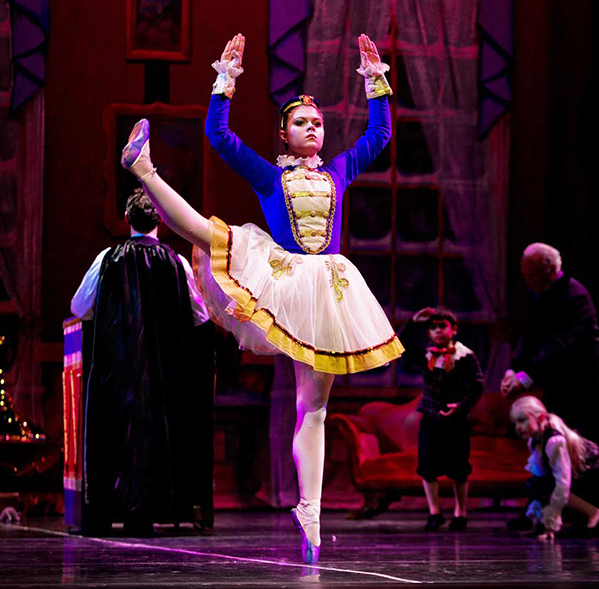 Brandywine Ballet presents a holiday classic, The Nutcracker on December 7th through the 16th. The well-known Christmas ballet is performed every December around the world for more than 125 years. For Chester County, this is a holiday signature event that many families look forward to each year. The show will be held at West Chester University’s Emilie K. Asplundh Concert Hall, located on 700 S. High St.
During the performance, you will experience a journey to the land of sweets. The main character Clara, guides us through her magical dreams. Performances are full of elegant costumes, fantastical characters, and beautiful stage production. The music in The Nutcracker is composed by the famous Peter Tchaikovsky. The Brandywine Ballet choreography for the show, is by David Kloss and Donna L. Muzio. New choreographic elements that were added are by Nancy Page. The Nutcracker performance is approximately two hours long, including a 15 minute intermission break. The show is seen by all ages, both children and adults love it. Single tickets are available for purchase online starting at $25 for section C, $35 for section B, and $45 for section C.